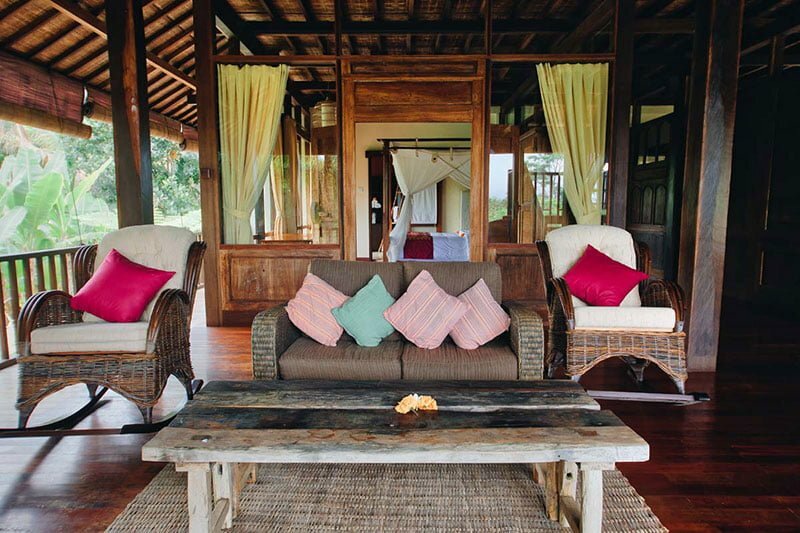 Far from the noisy cavillations, Villa Atas is home to tranquility with scenic landscapes engulfed in wildlife and rice paddies. 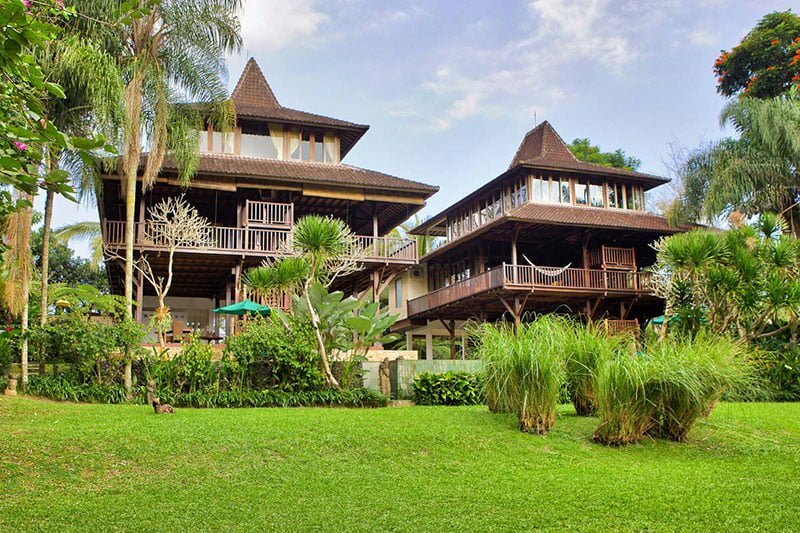 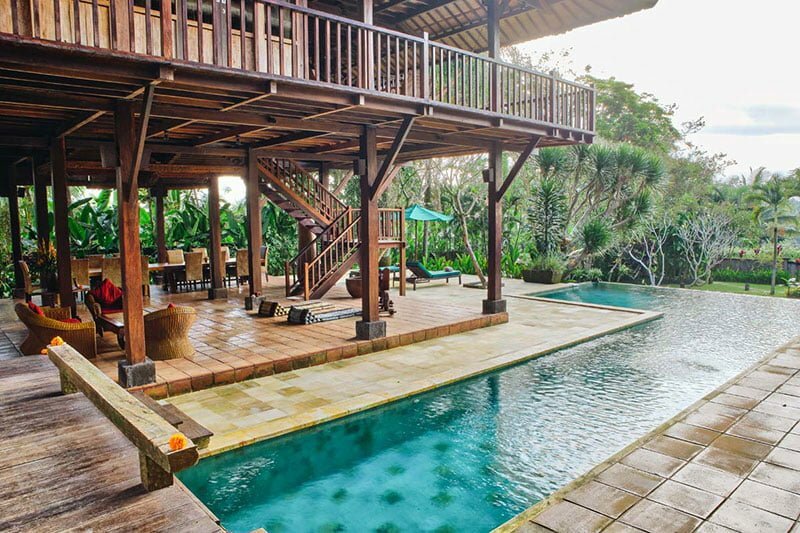 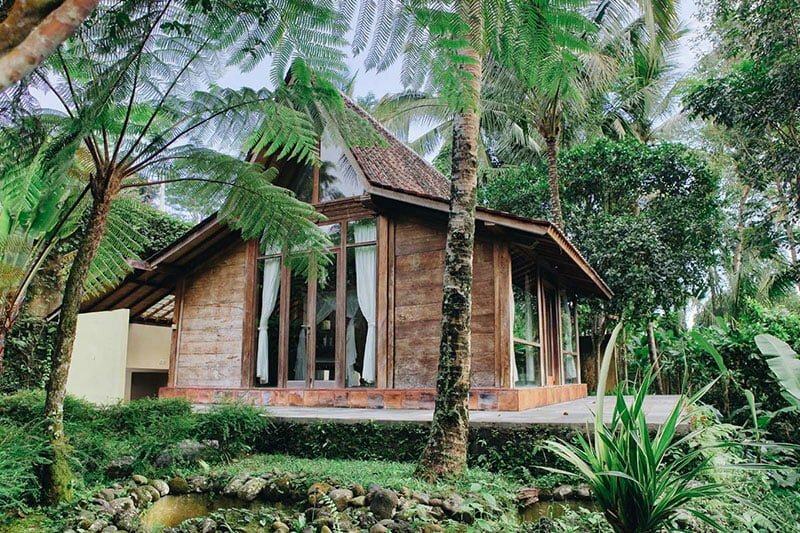 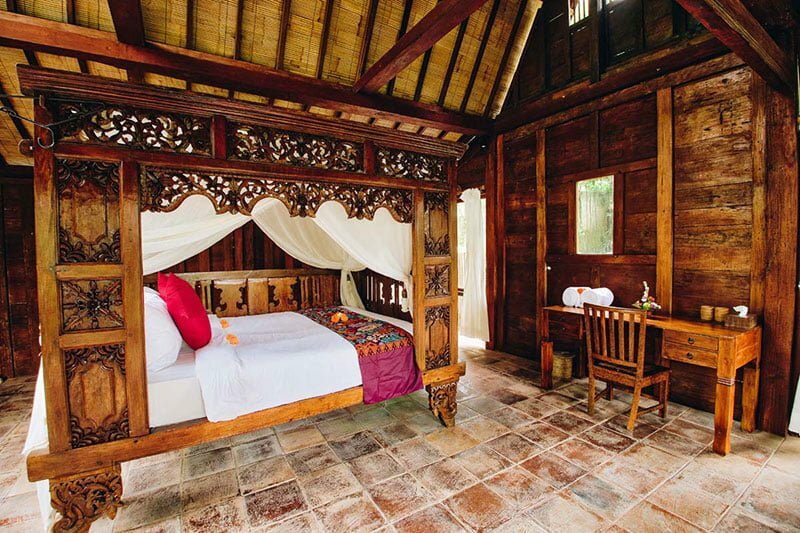 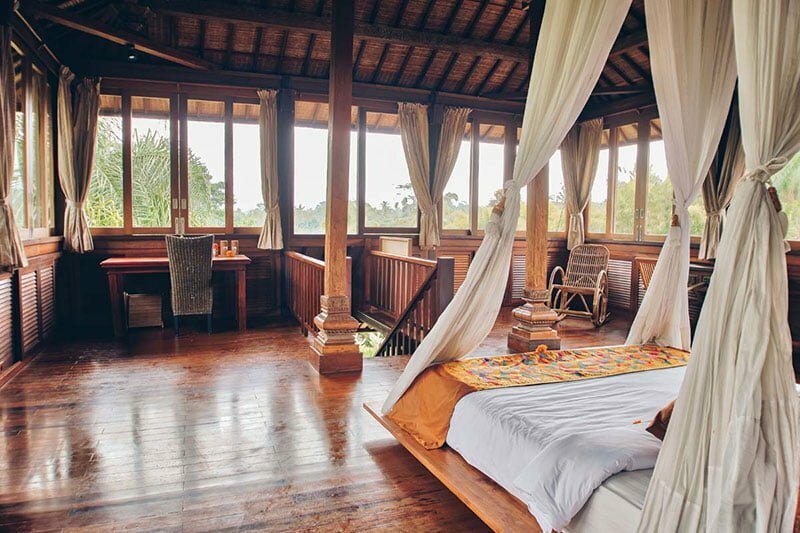 At Villa Atas, travelers’ dreams come to life. 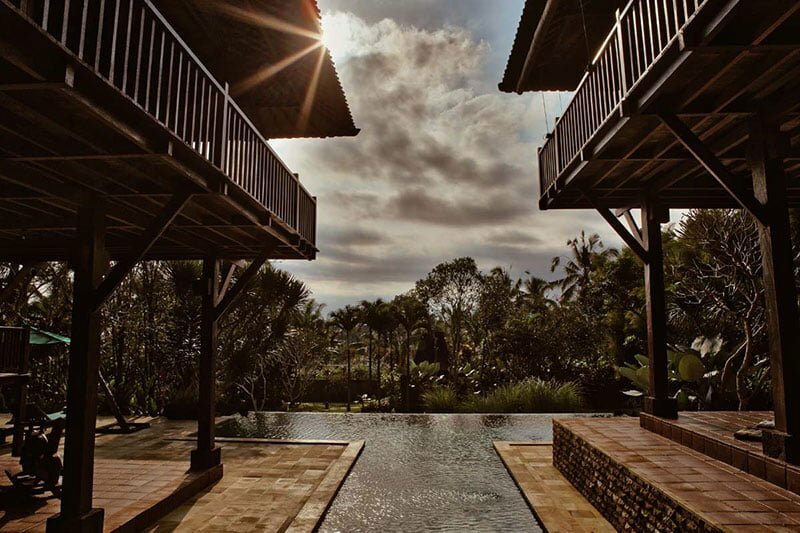 Skies are ever blue, and the distant volcanoes blow fog from their summits. 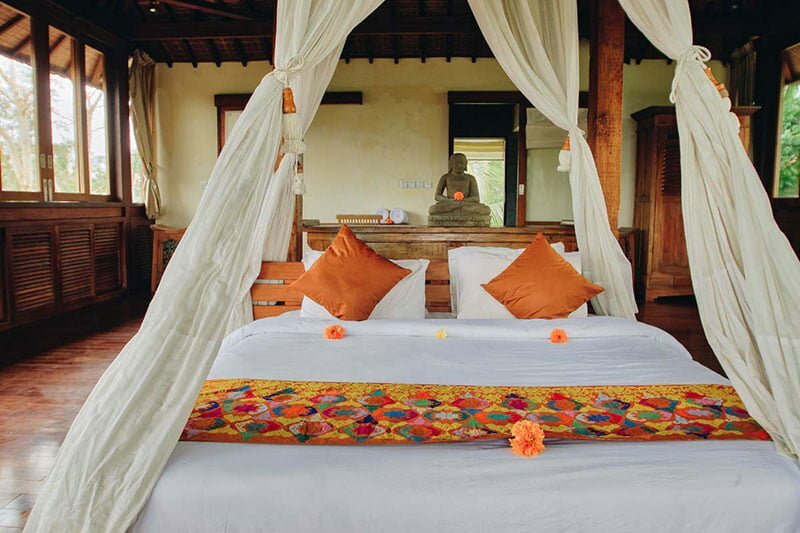 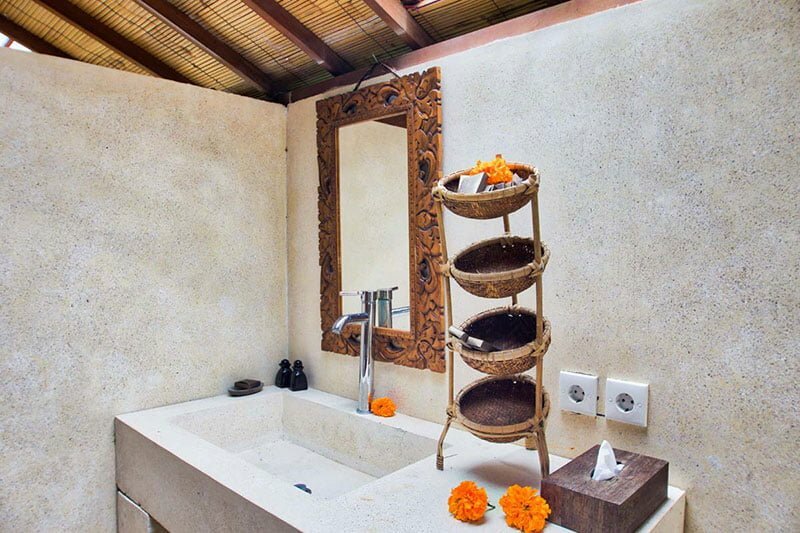 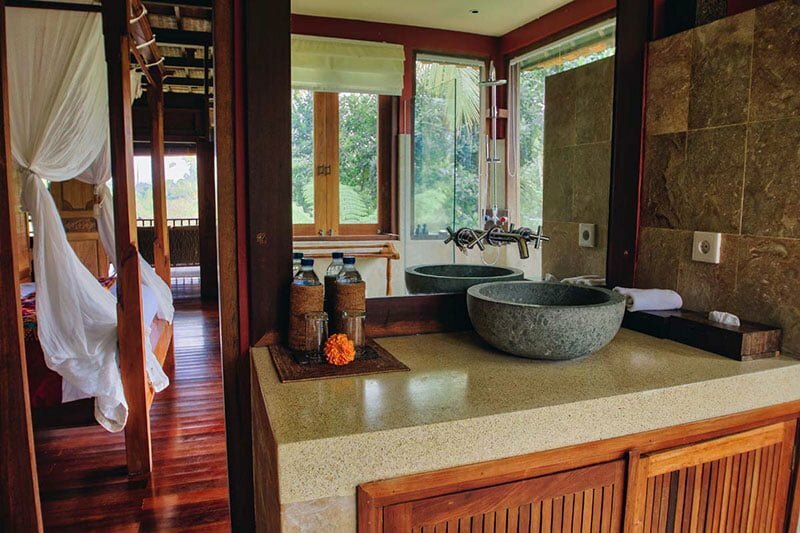 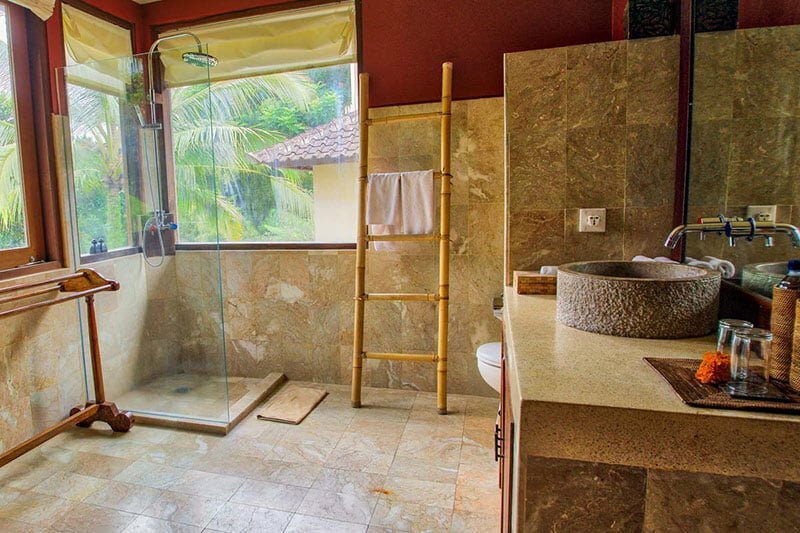 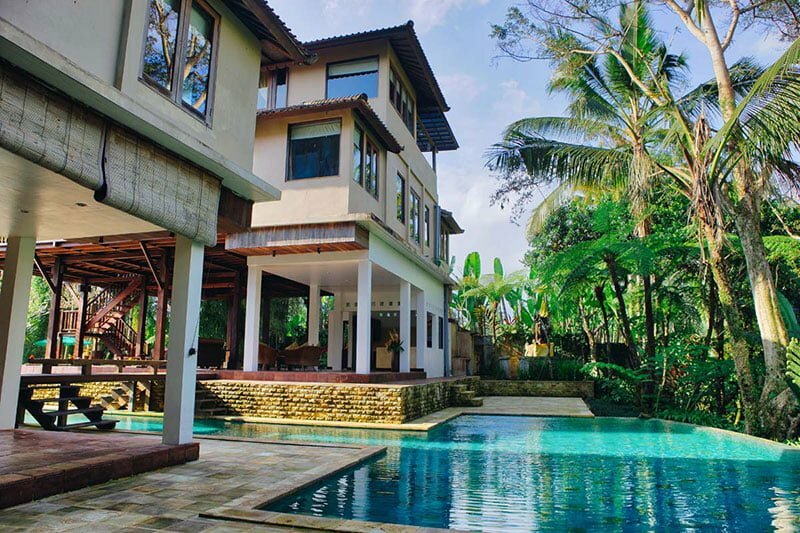 There is no disappointment for those who choose to reside at Villa Atas, Ubud. 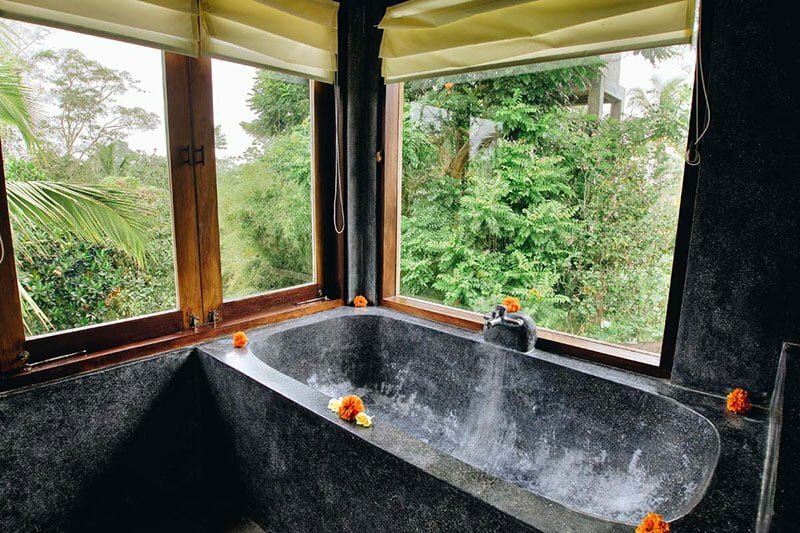 It is pure bliss in untouched nature. 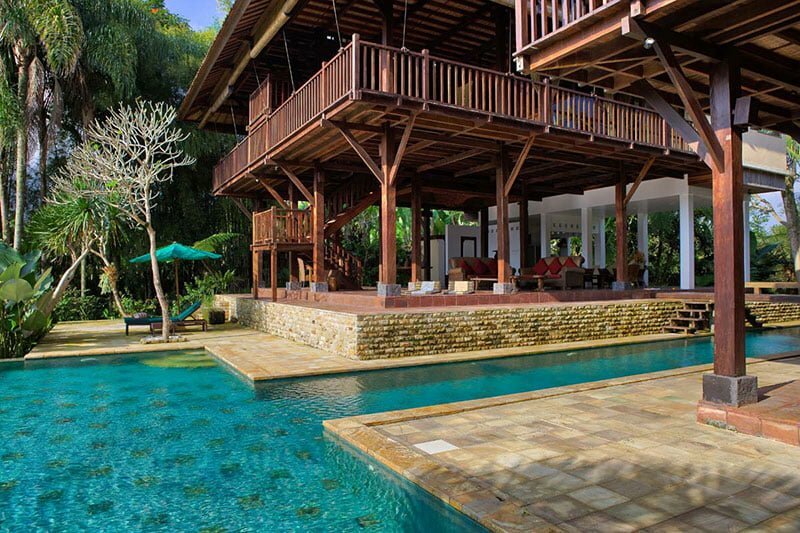 The villa estate includes two pavilions in a splendid garden. 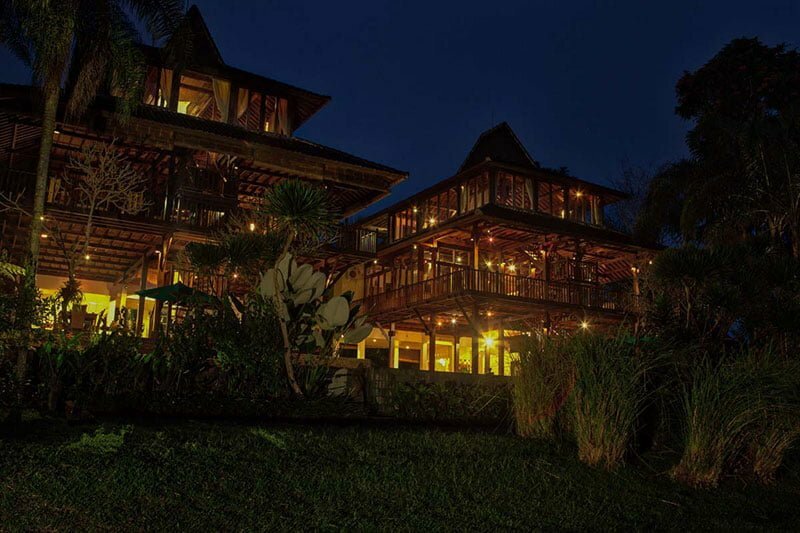 Here you will have experiences you can take home. 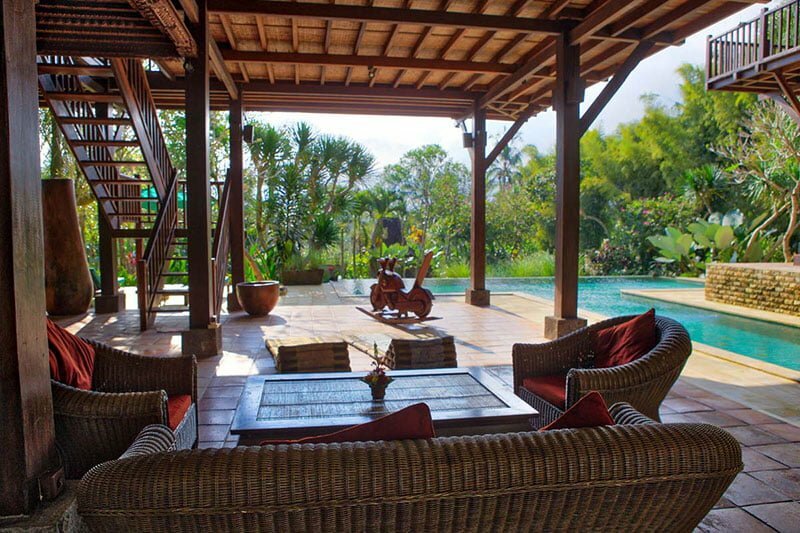 Villa Atas is ideal for families and friends seeking for a meaningful vacation, natural kindness, and excitement in privacy. 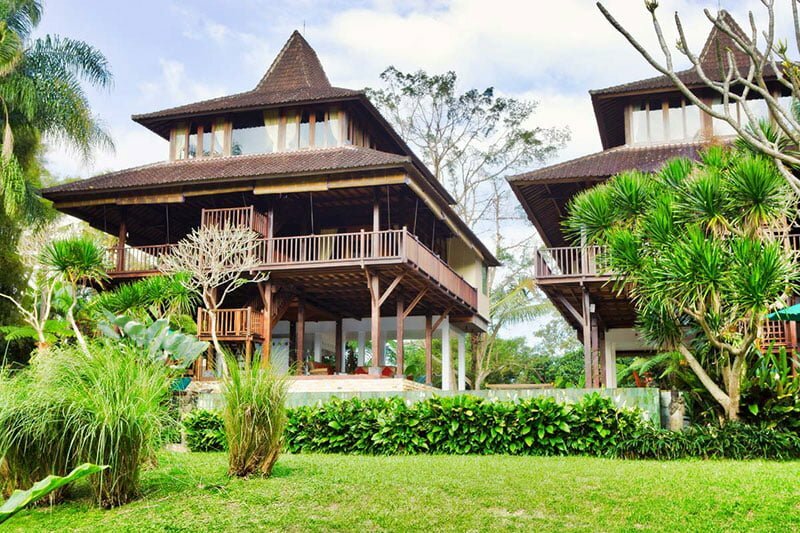 Around Villa Atas Awan is a stunningly beautiful Indonesian countryside. 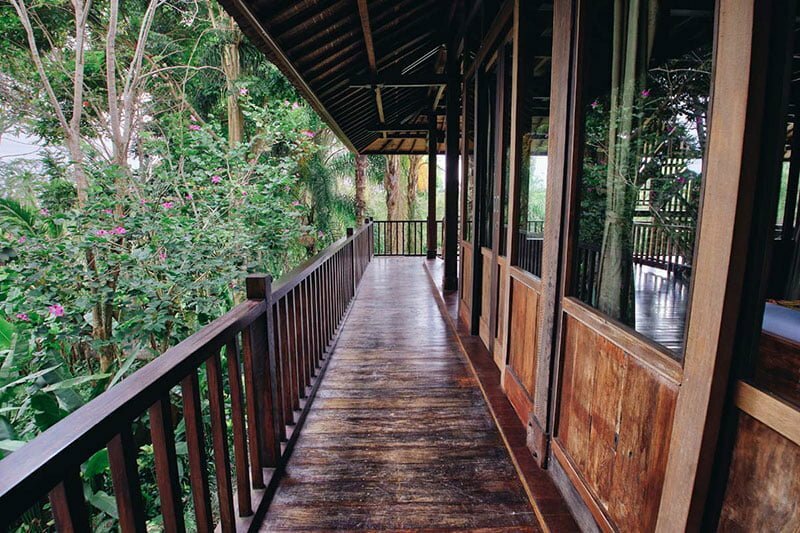 Nature speaks a language of silence that inspires calmness and relaxation. 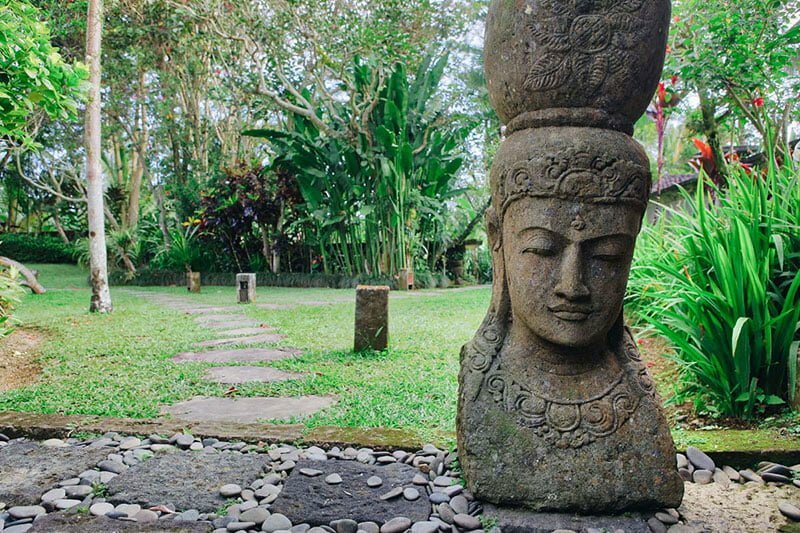 There high waterfalls, the monkey forest, ancient temples and art galleries waiting for your exploration. 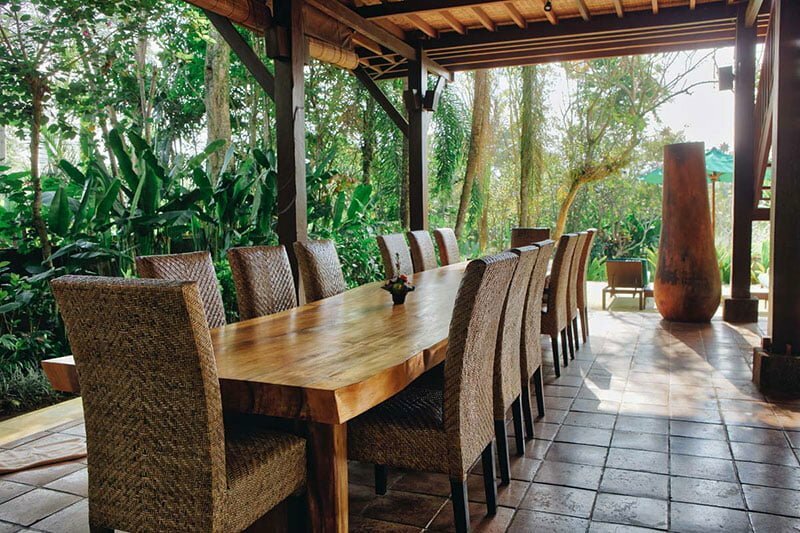 The garden area is extensive and peaceful with thriving trees, bushes and green grass. 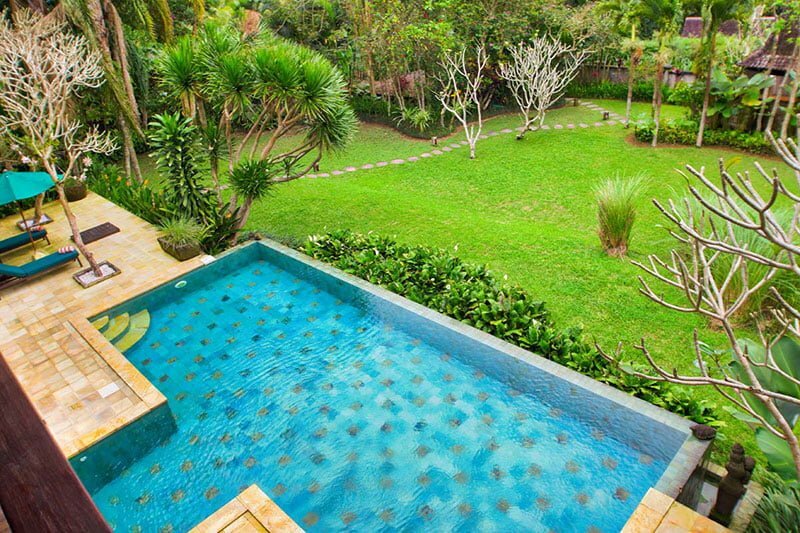 You will find beauty and calmness in the fish ponds, the stone sculptures and the infinity pool gracing the exterior. 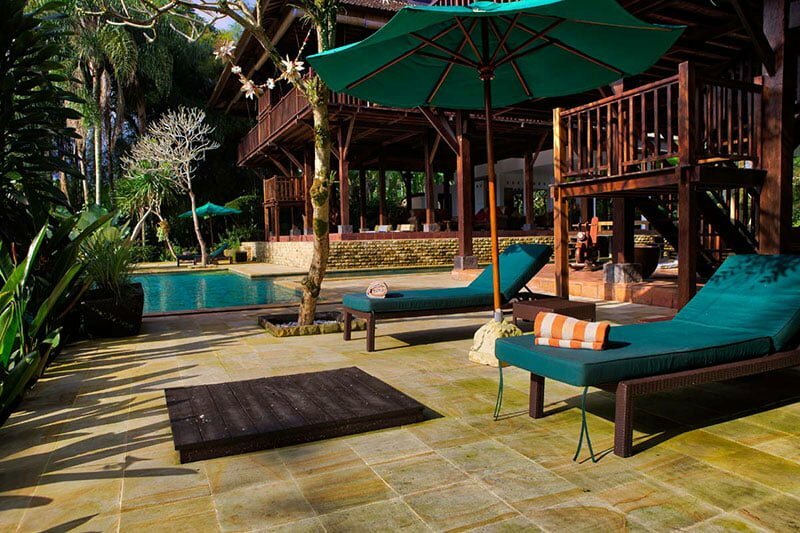 The garden has numerous sun shades and lounges for an unforgettable outdoor experience. 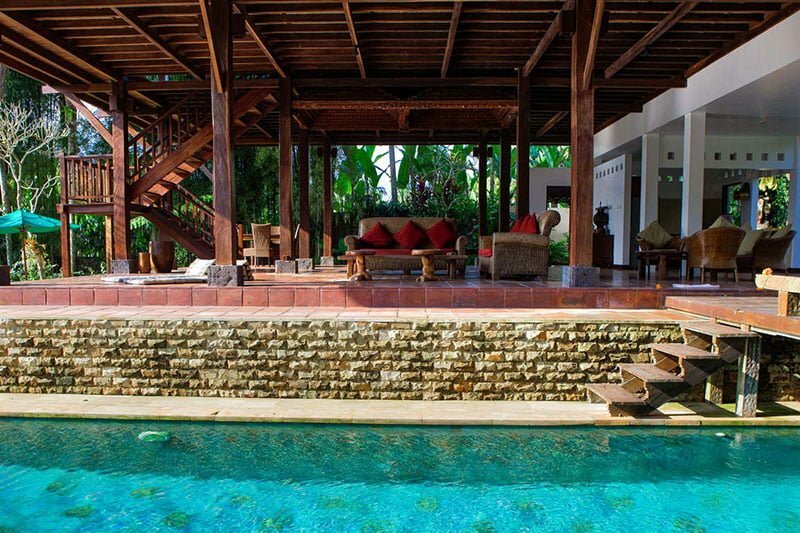 The living areas sit close to the garden and the infinity pool. 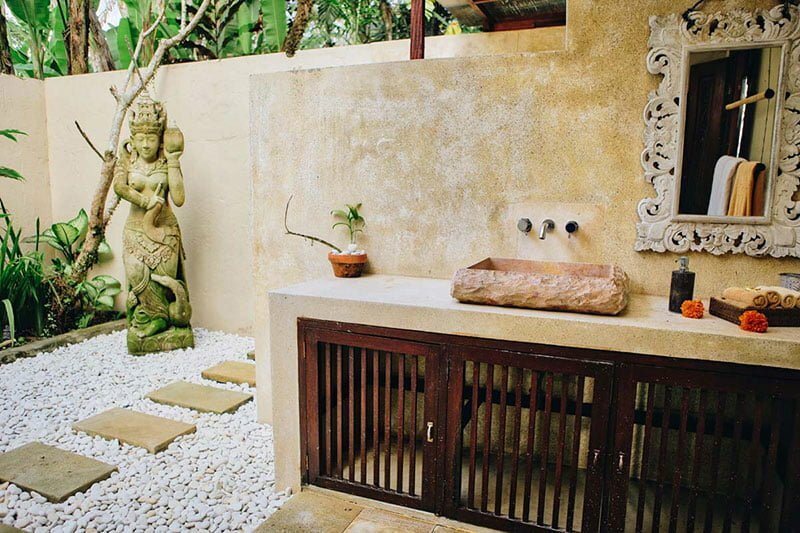 Here, guests will be exposed to the beauty and tranquility given the alfresco living design. 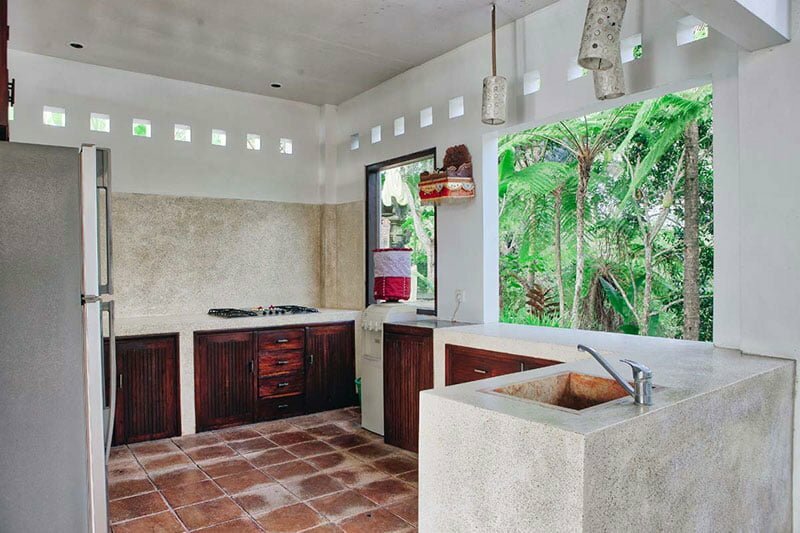 Here, the arts and crafts of the island come to life. 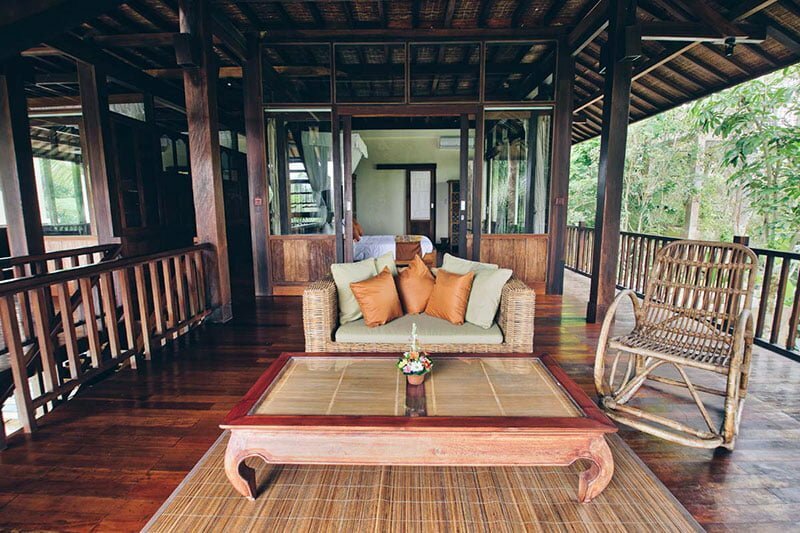 The furniture is antique and uniquely crafted from bamboo and rattan. 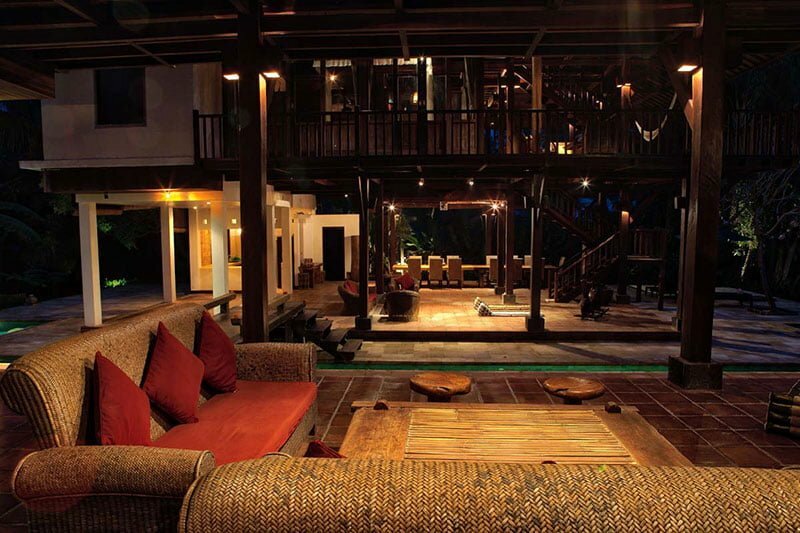 From the comfortable sofas and lounges, you will find the comfort that tourists seek across the oceans. 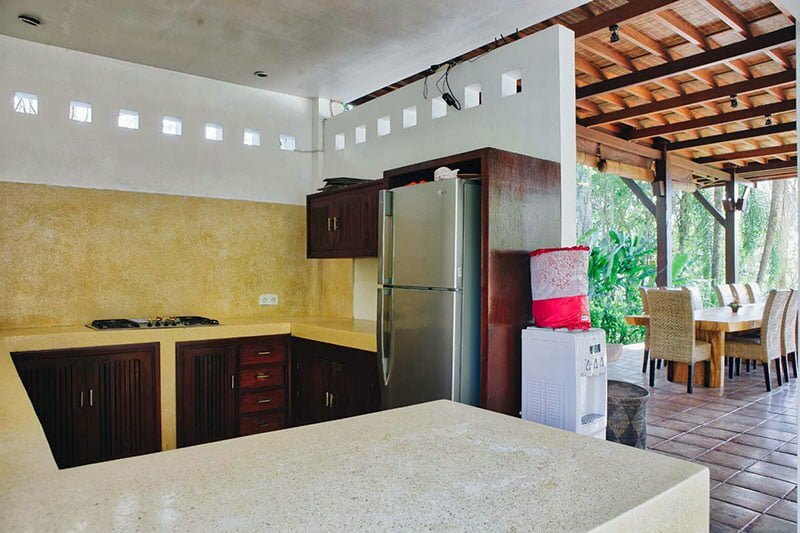 The two pavilions both have spacious kitchens featuring unique facilities and appliances. 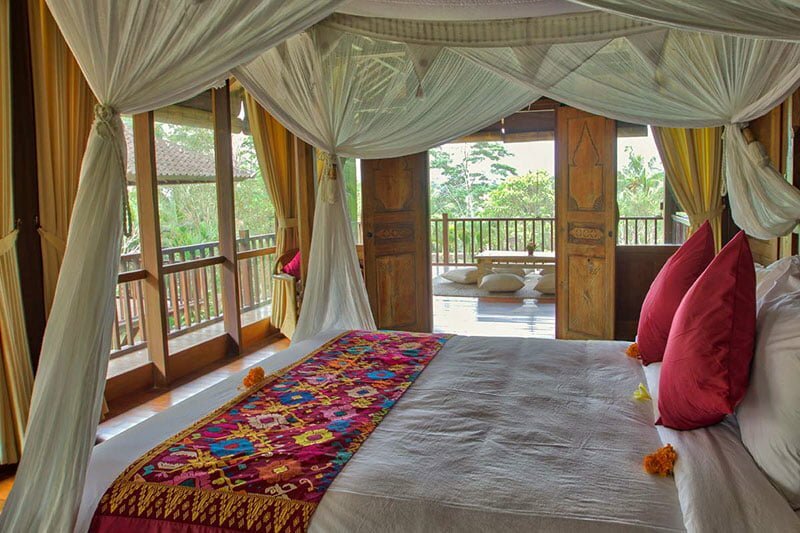 The master bedroom is a stunning room on the upper floor. 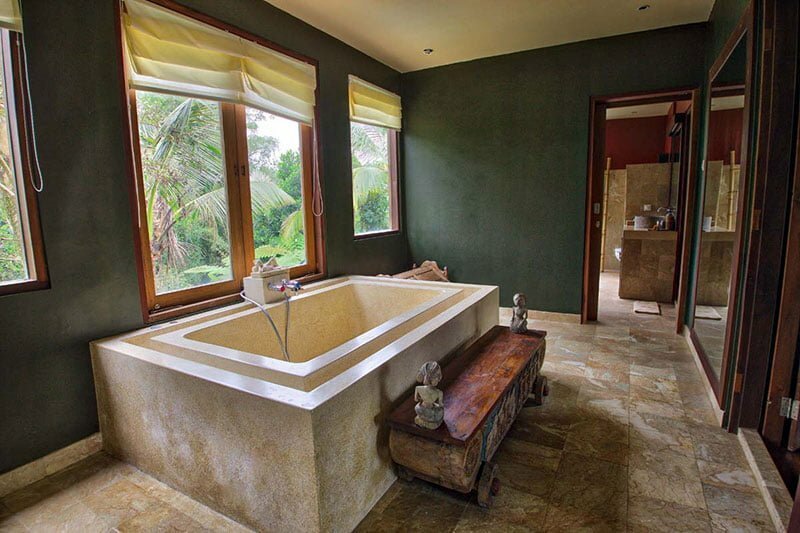 From here guests can enjoy far reaching views of the beautiful panoramas. 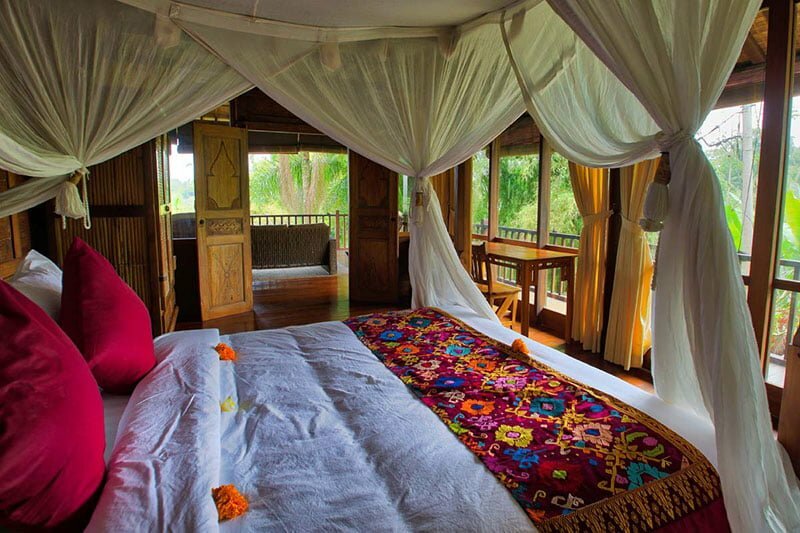 Comfort is a way of life here. 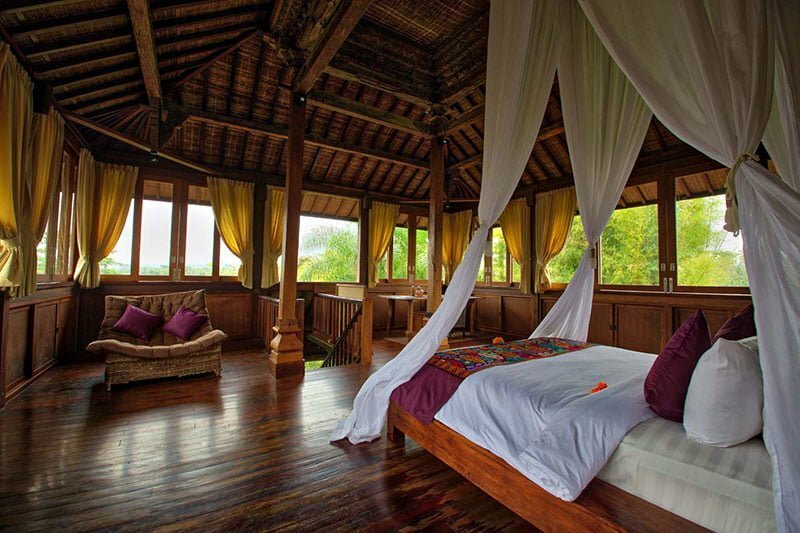 Adventure is in the architecture of high thatched roofs juxtaposed by sliding glass doors and windows. 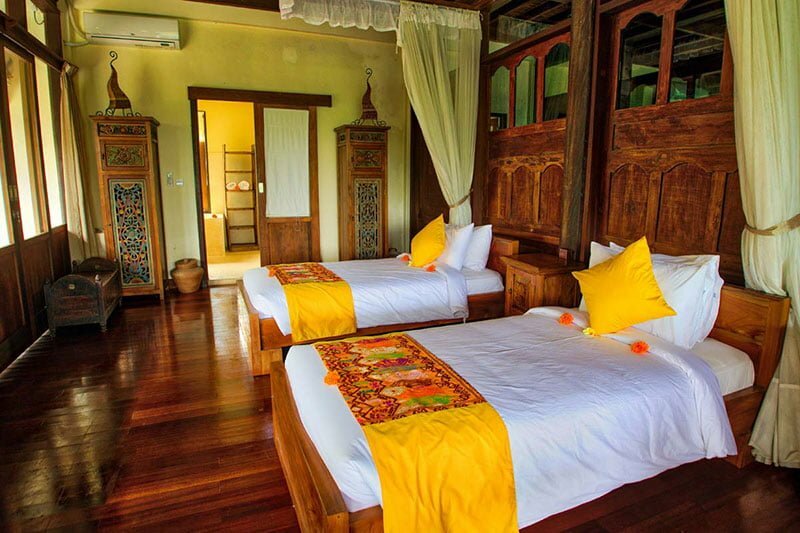 The room is spacious and endowed with beautiful wooden furniture, smart TV sets, and a king-sized bed draped with curtains. 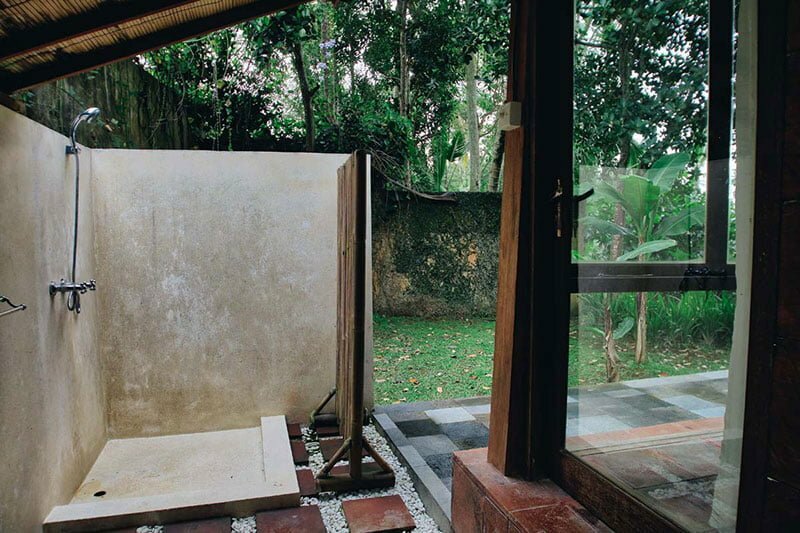 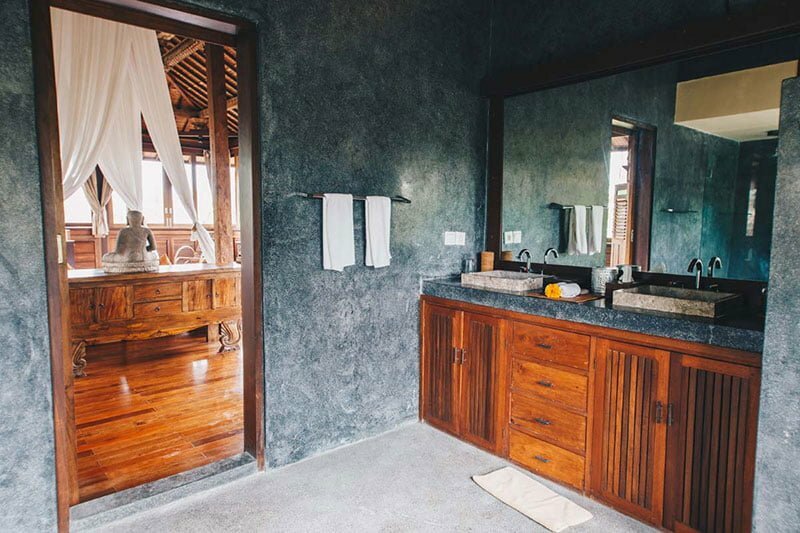 The room contains an en-suite bathroom with terrazzo bathtubs and luxurious rain showers. 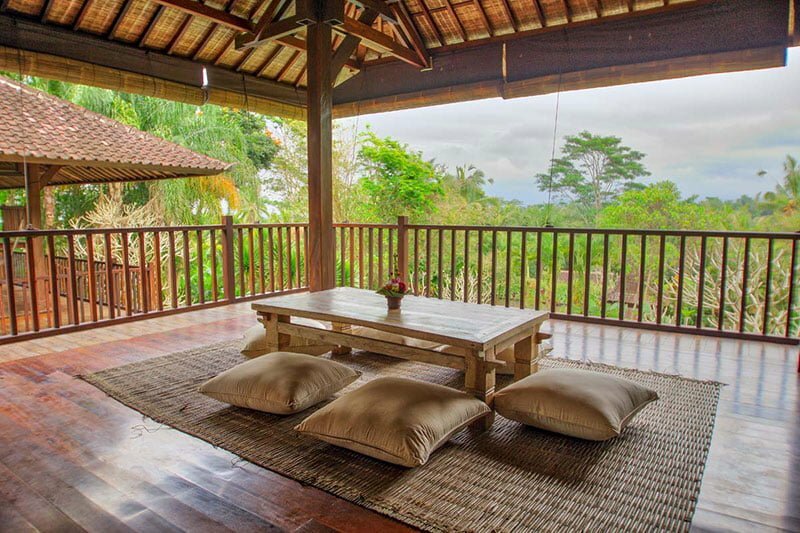 There is a terrace at the doors where you can sit and enjoy the unforgettable Balinese sunrise. 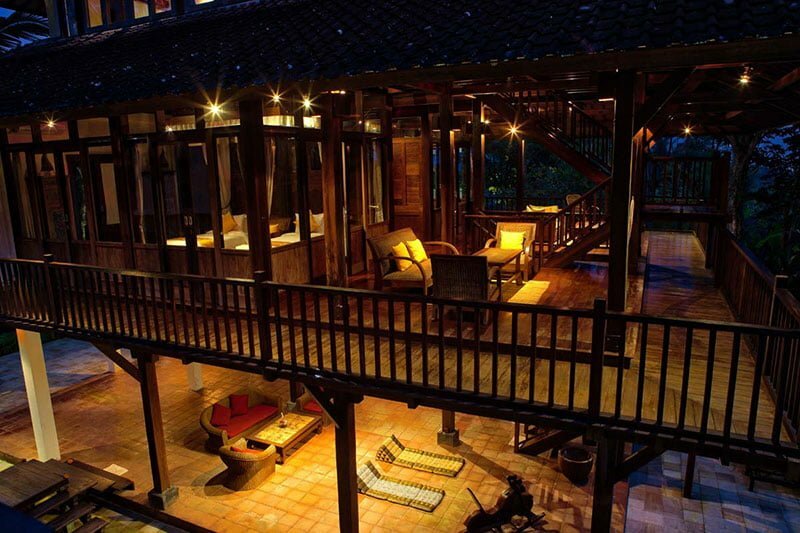 The second floor has five bedrooms opening to a shared terrace. 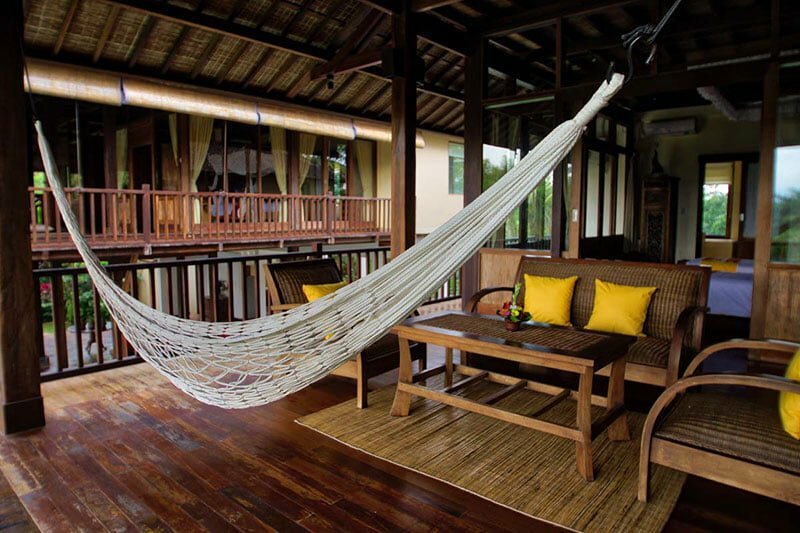 There are numerous lounge rares that will make relaxation possible to experience -for instance, the hammock where you can sink in a novel and forget about the world. 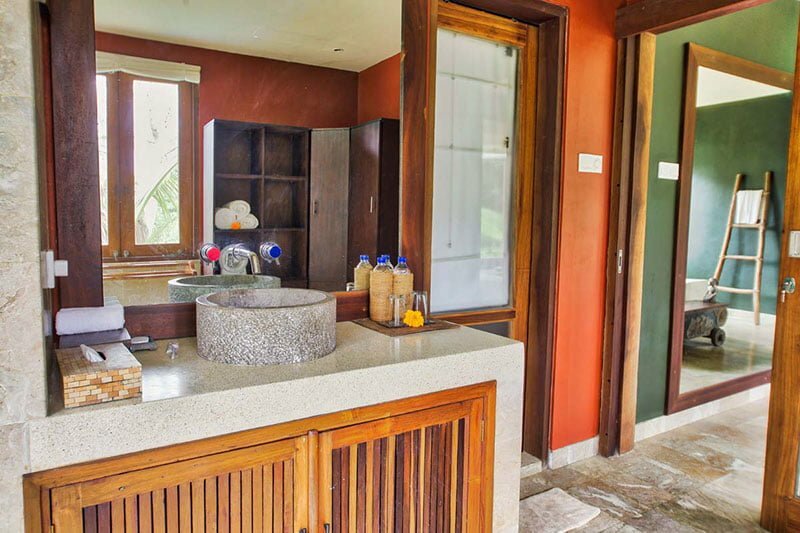 The rooms have wooden designs while the glass doors and windows bring in all the outdoor excitement. 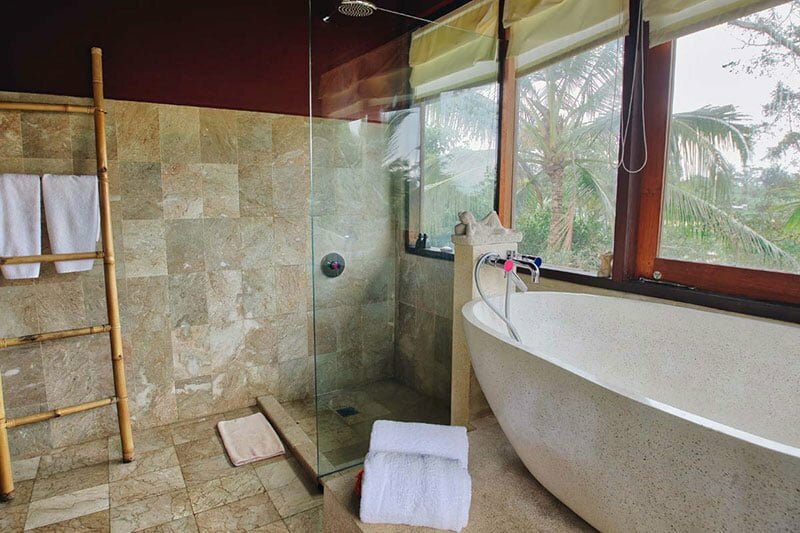 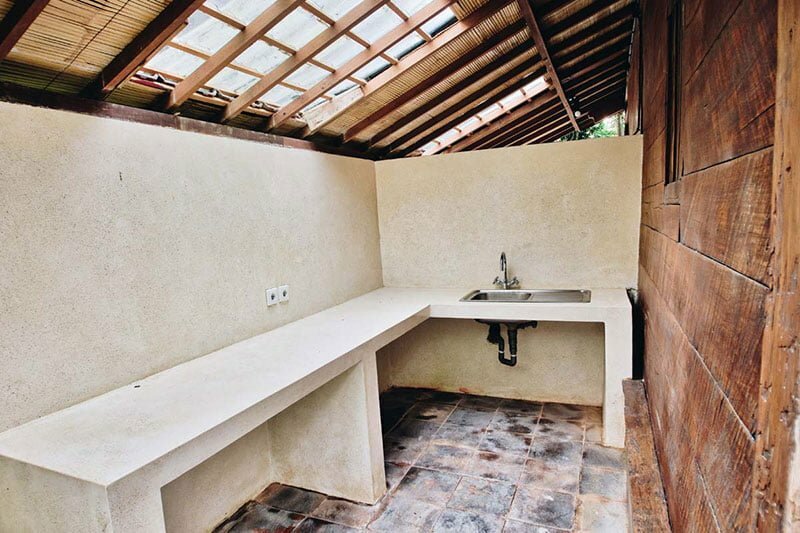 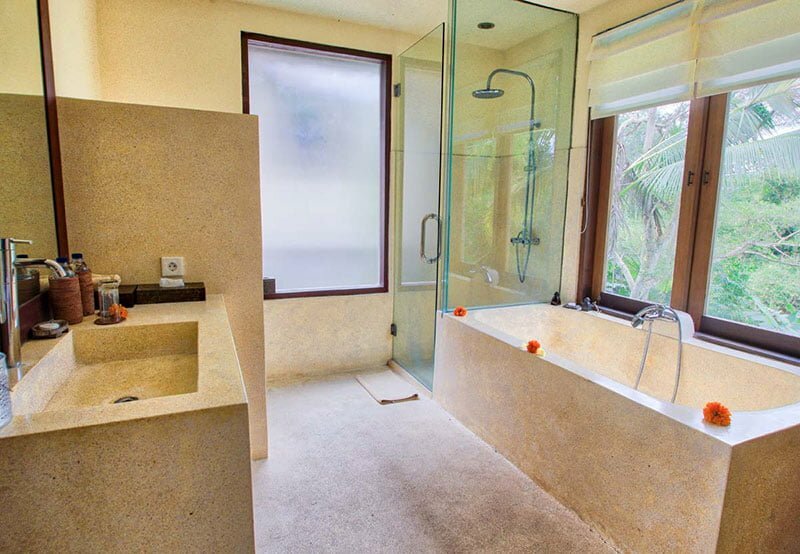 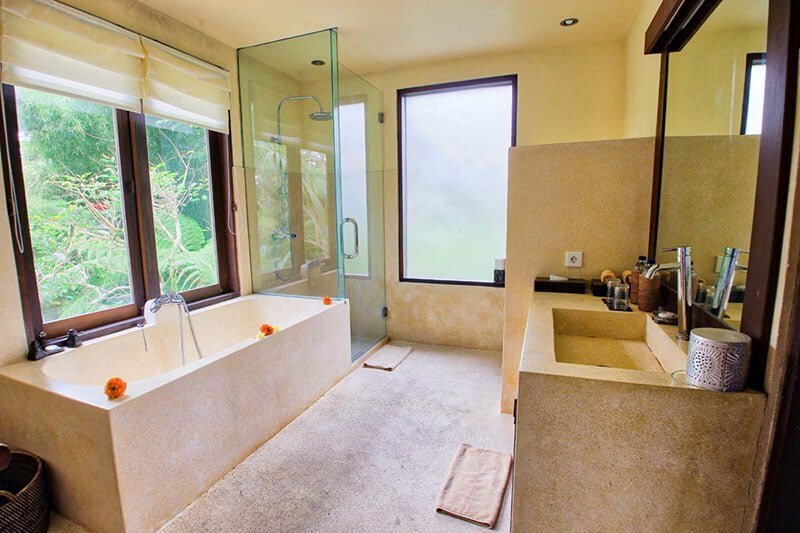 The en-suite bathrooms include terrazzo bathtubs and rain showers. 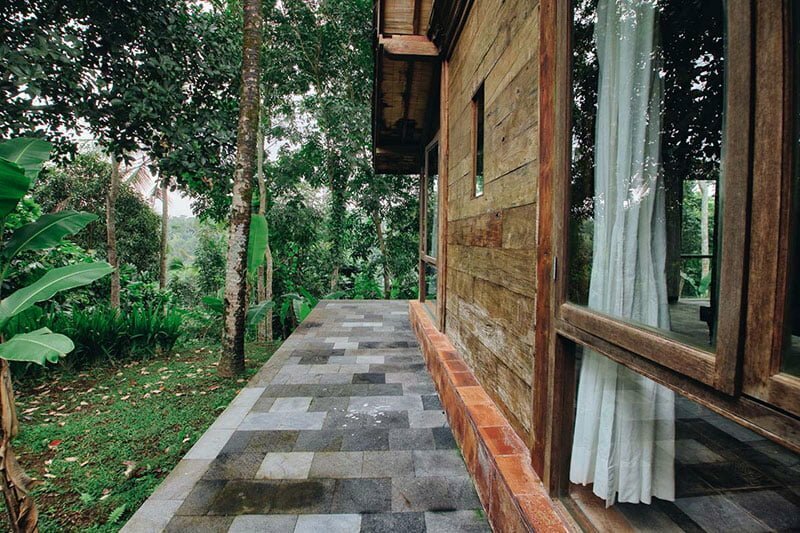 The staff at Villa Atas Awan are friendly and dedicated to guest satisfaction. 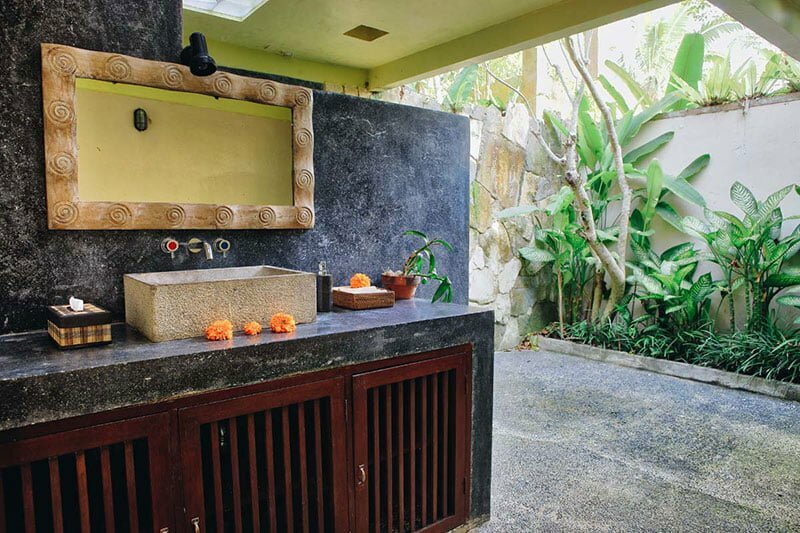 They carry out daily maintenance, housekeeping, security and guest assistance. 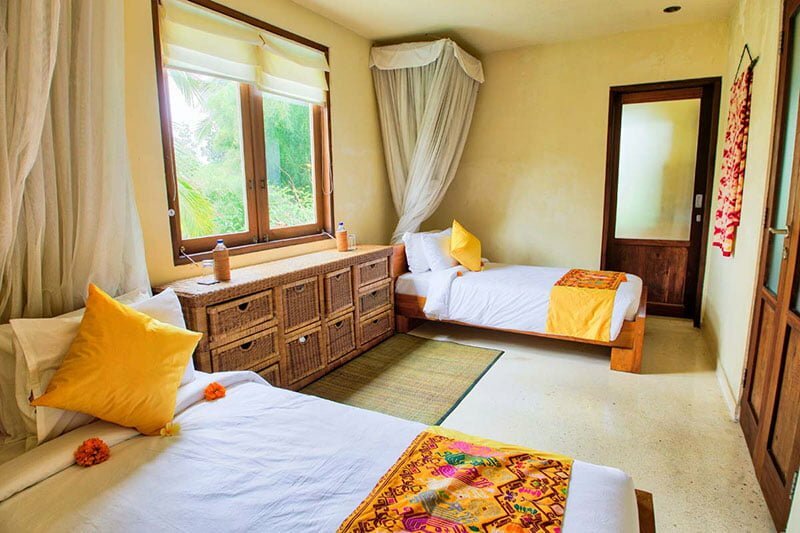 There is also a shuttle bus available to transport guests to and from attraction centers in Ubud.